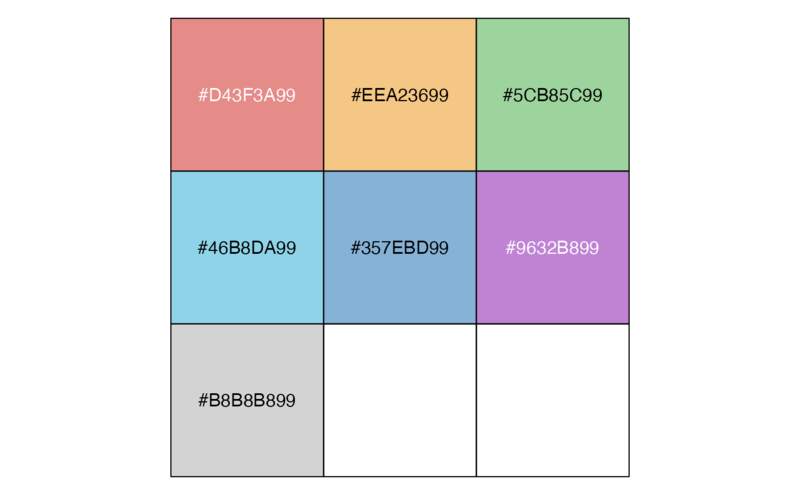 Color palettes based on the colors used by LocusZoom. Pruim, Randall J., et al. (2010). LocusZoom: regional visualization of genome-wide association scan results. Bioinformatics, 26(18), 2336--2337.